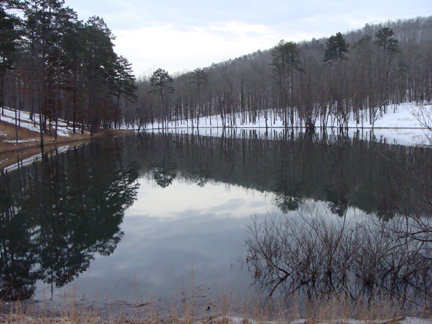 The mirror-like surface of the pond is the perfect foil for the muted colors of snow and winter-bare trees. 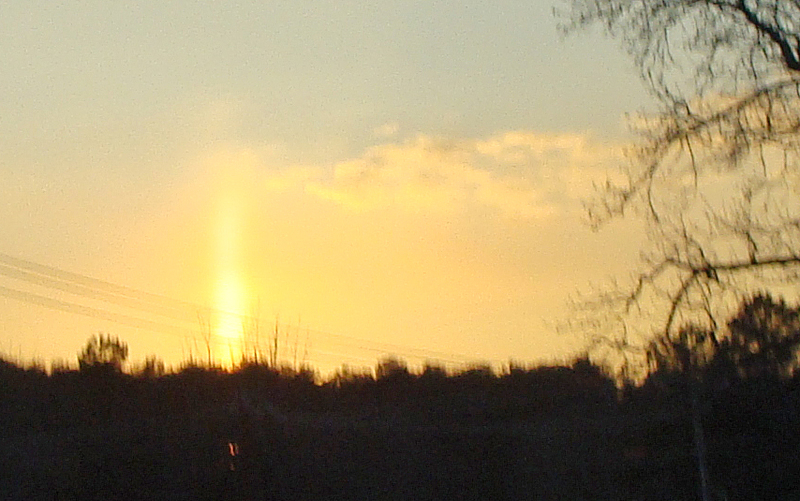 The westbound sun cast a warm light on cold day. 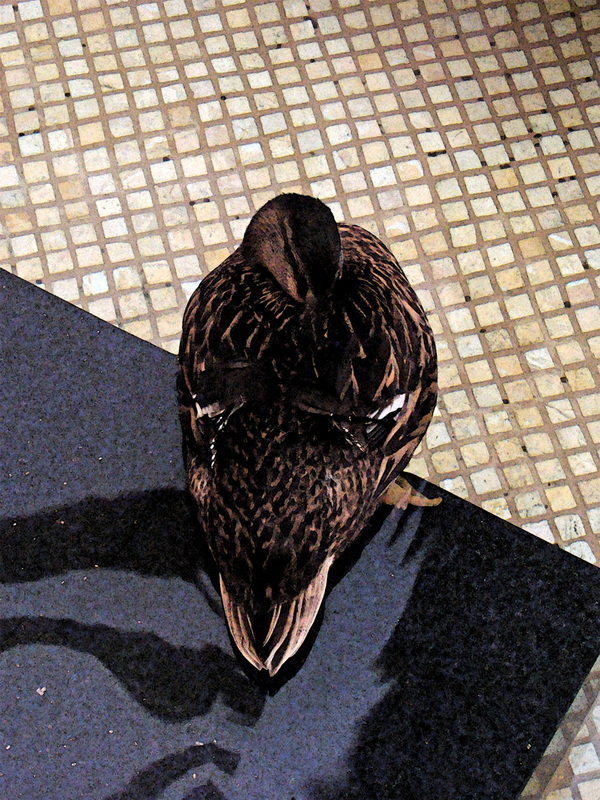 The Peabody Hotels in Memphis, Tenn., and Little Rock, both have resident ducks as something of a trademark. This mallard lives at the Little Rock hotel. This lady was resting on one of the platforms in their lobby pool. While I detest cheesy digital filters, the flatness of the lighting lent itself to Photoshop’s watercolor filter. A cloud of ducks and a hearty hi, ho silver. Ducks and the Arkansas Delta go together like, well, ducks and water. Rolling east on I-40, caught this cloud of ducks rising from a field somewhere between Carlisle and Forrest City. Flock of ducks takes flight in the Arkansas Delta, the cloud of them stretching nearly horizon to horizon. 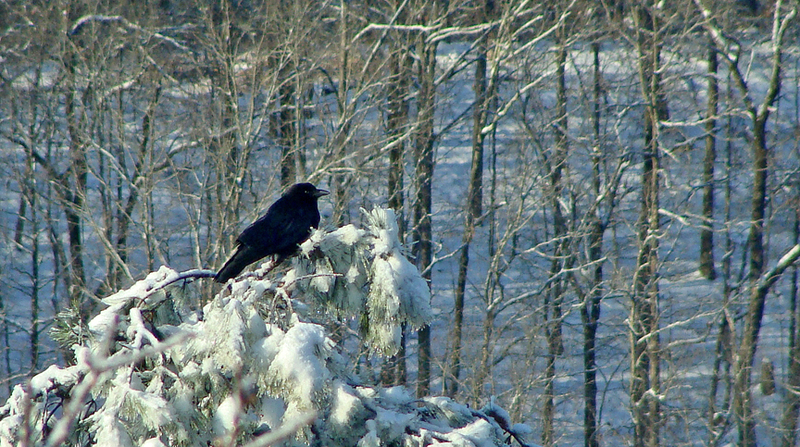 A crow in the snow. There are still a few snow boulders around on Feb. 19, but little else. The daffodils are emerging, the pears appear ready to burst forth and the rest of the trees buds are beginning to swell. The surprise February snow offered an untold number of photo opps for Mater Natura. 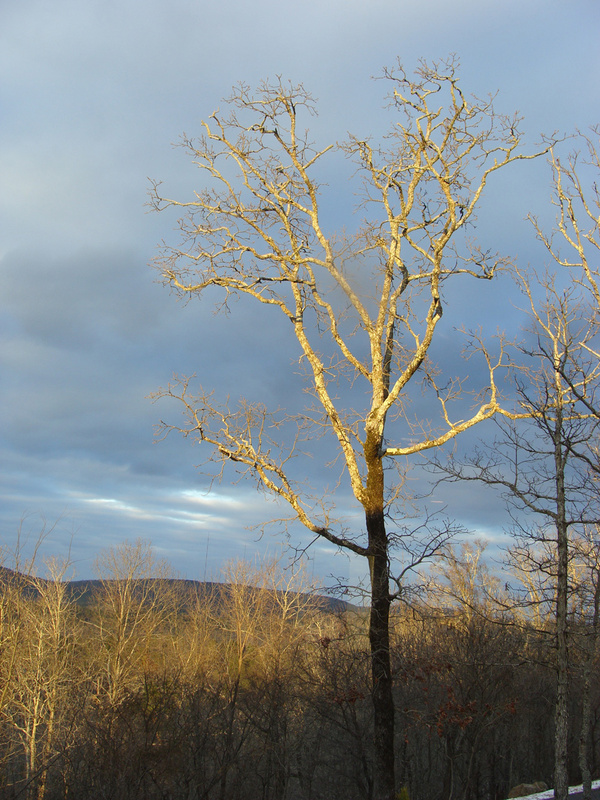 Sunrise, midday and afternoon. The sun shows different sides of winter.